The following companies represent the top rated fencing companies in New Hampshire as rated and reviewed by customers. 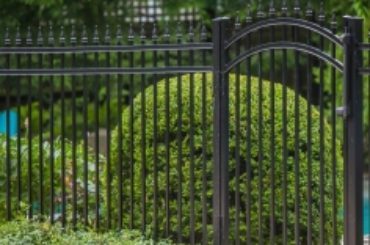 What Makes a Great Fence Company in New Hampshire ? Make sure this fencing company has been installing fences in New Hampshire for a number of years. There is nothing like experience. Of course, there is nothing like a large number of happy customers. Check their ratings and reviews. There are a lot of unprofessional fencing companies operating in New Hampshire. It doesn't take long for the cream to rise to the top! Many of the top fencing manufacturers use exclusive dealers with limited areas of operation. Make sure you carefully choose a dealer who installs high quality fences from top manufacturers in your area of New Hampshire. There are a large number of wonderful fencing options for your New Hampshire home or business. From vinyl fence, wood fence, aluminum fence and more ... make sure the fence company you choose offers a wide selection of top fencing options. Many New Hampshire fence contractors offer excellent warranties. This is especially true for some vinyl and aluminum fence options. Make sure you find out the details of the warranty. A quality fence company will have a strong warranty on all of their products.